Please pray for the Great Smoky Mountains #SMOKIESSTRONG. The cabin was not in an area of fires and is accessible. 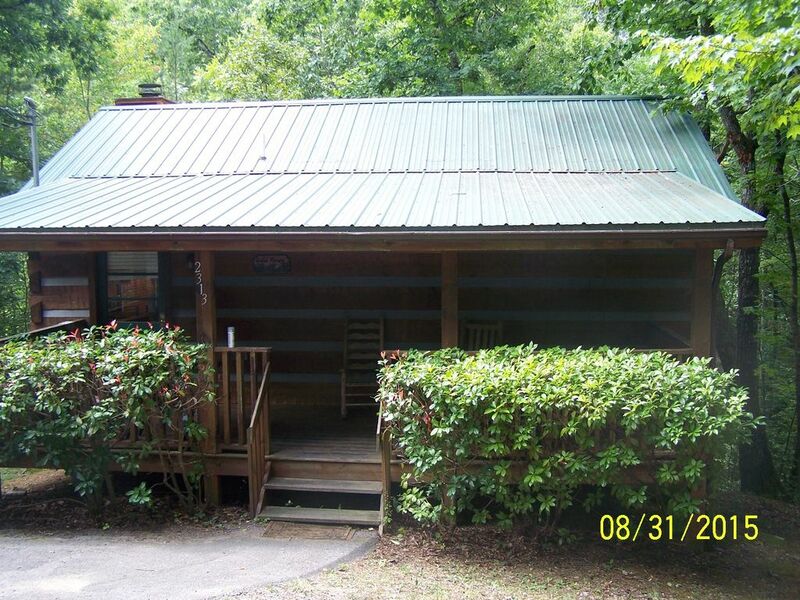 This delightfully decorated and amply furnished log cabin is a great find. Joyful Memory cabin is conveniently located only minutes from downtown pigeon forge off of wears valley rd. (light #3). Surrounded by woods will make it a perfect setting for a romantic getaway or honeymoon. This cabin is also great for a family getaway. The private bedroom offers you a king size bed with cable tv, dvd player, jacuzzi tub and full bath. Step outside onto the screened in deck and relax in the hot tub. The living room includes a queen sofa sleeper, 32' flat screen tv, dvd player, and gas log fireplace. Enjoy the screened in deck with rockers and the hot tub. Other amenities include a fully furnished kitchen, gas grill, washer and dryer. Our cabin is only a short walk to the lake. Located 10 minutes from downtown pigeon forge and 15 minutes from gatlinburg. With shopping, dollywood, splash country, dining, hiking, live theater, arcades, horseback riding, ziplines, skiing, amusement parks, water parks, and much more just minutes away. You will certainly have plenty to do. 25 miles to Neyland Stadium & UT Vols Football! There are many wonderful restaurants within only a few minutes drive, and a grocery store and Walmart are only minutes away. Both bathrooms have a combination tub/shower. Located in the mountains and sits on its own lot. Dining area adjoins living room. We really enjoyed our stay at this cabin. It was great. We'll be coming back. Loved the hot tub!! Very nice cabin, very clean and accommodating!!! Loved the hot tub and the bed was very comfortable! Only one thing, the jacuzzi in the bedroom ran out of hot water before it would fill up over the jets so we couldn’t use the jets, but still took a nice bubble bath! We could not have asked for a better place to stay for a small getaway. Very clean and cozy with all of the amenities we needed. Perfect size for a couple or small family. Highly recommend! Had a blast in this cabin. It was just me, my wife, and my 1 year old daughter, so the size was perfect. Great location as it was easy getting into Pigeon Forge and Gatlinburg. Will definitely stay here again, and would definitely reccomend others to do the same.